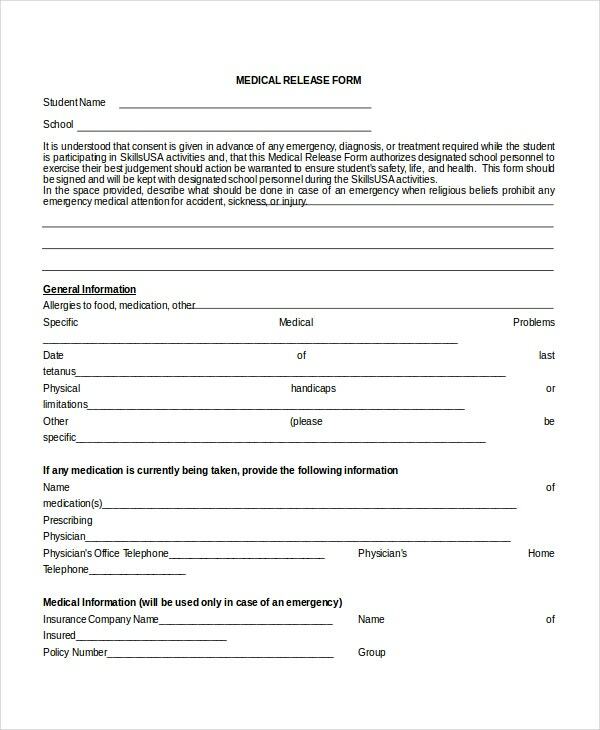 A medical release form would be required when you are looking to gather confidential or sensitive medical information of a patient which is inaccessible otherwise. It could be for research purpose or for preparing a legal case in the defense of the patient. 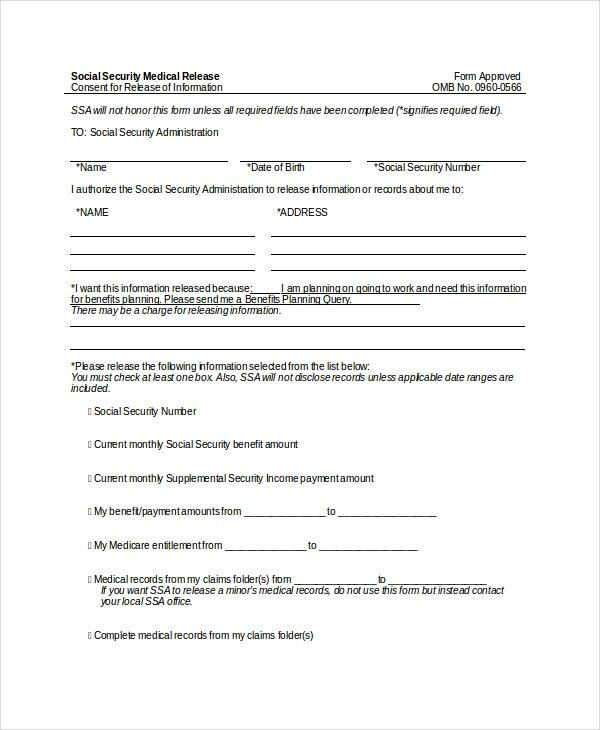 These forms would contain the consent of the patient regarding his free will to release his medical information to a specified person. 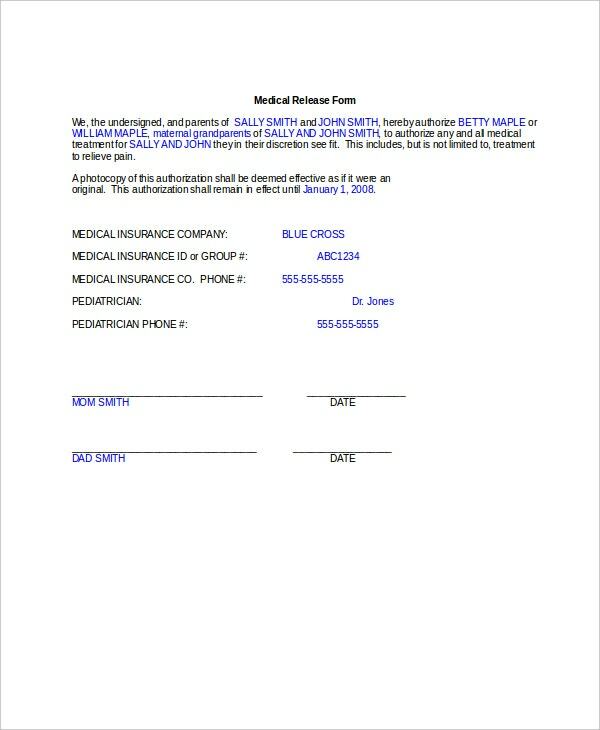 The Doctor’s Note Templates also specify what kind of information he has authorized to release. 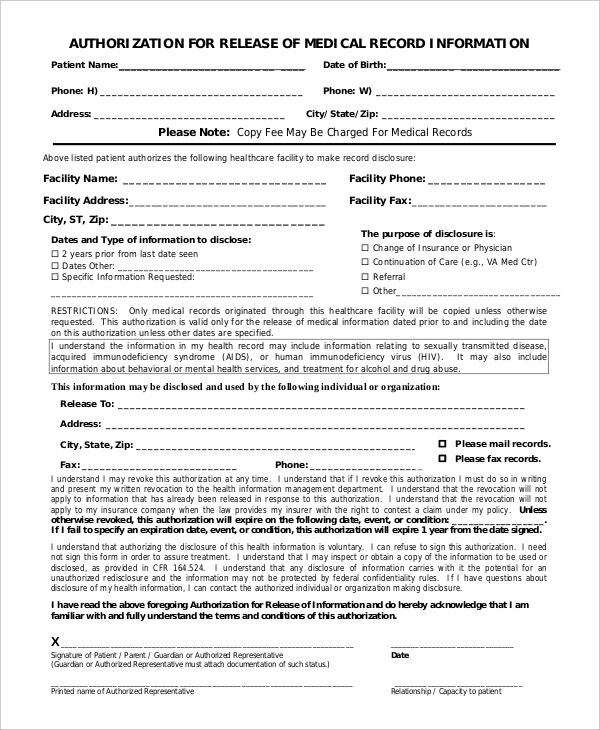 This medical release form begins with the authorization from the patient regarding his free consent to the release of his medical information by the concerned hospital. It specifies what to release and to whom. 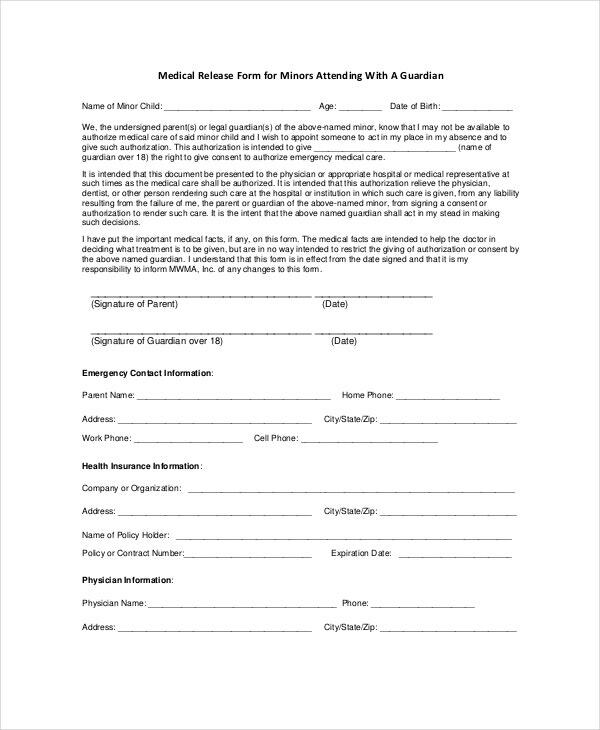 This medical release form would be handy when you have to appoint a person a legal guardian of your minor child and she would have your consent to authorize the child’s emergency clinical care. You can also see Medical Note Templates. 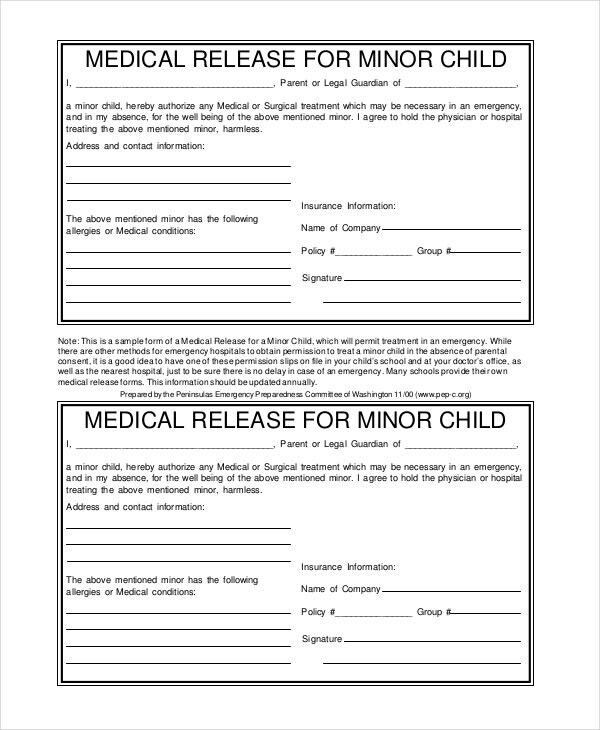 You are getting two medical release forms for minor children here which are to be authorized by the parents regarding their consent about dispensing the necessary medical care to the child in their absence. 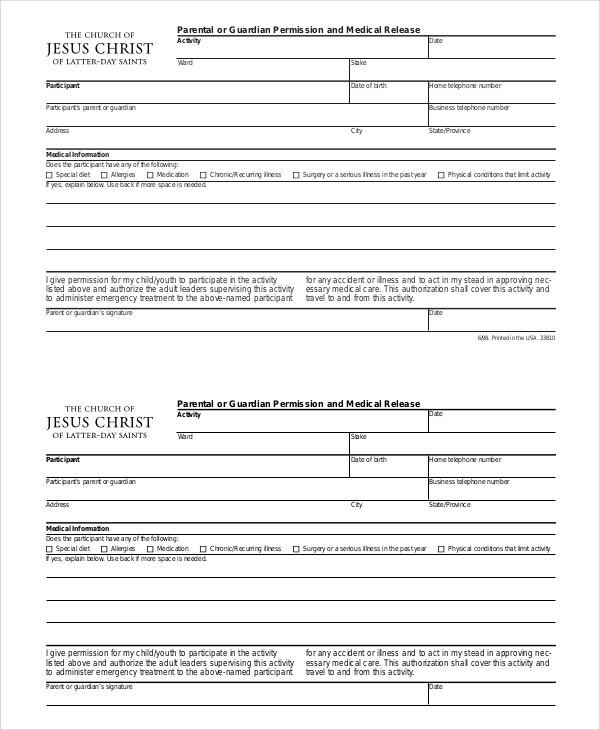 You have a detailed medical release form here where the patient offers his authorization regarding the release of medical information and states the name of the recipient and information provider. The reason for such release is also mentioned. 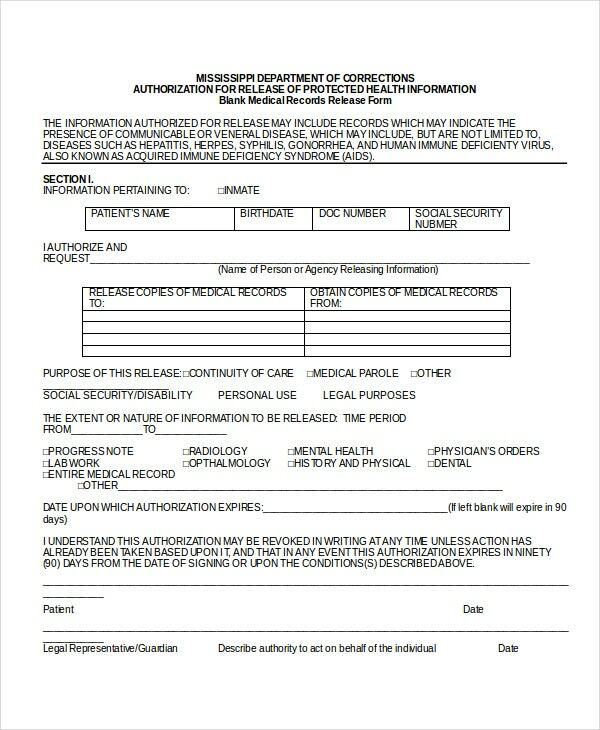 > What Constitutes a Medical Release Form? 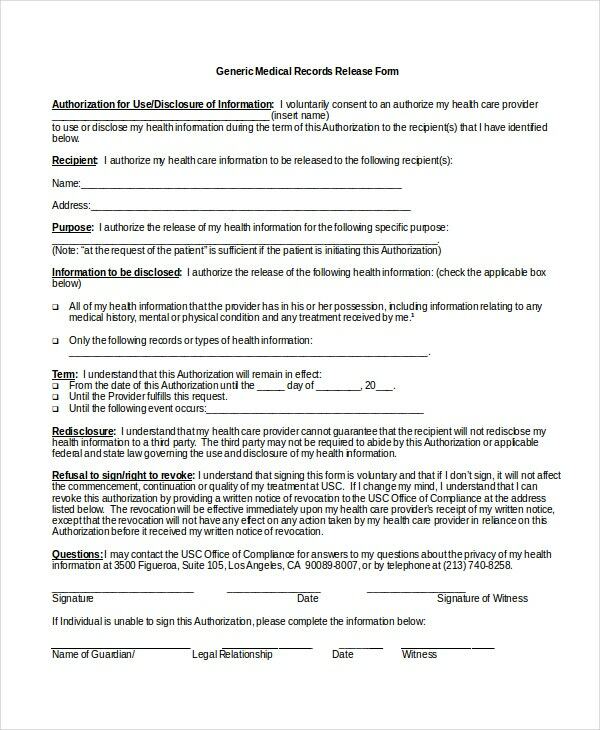 A medical release form generally starts with the authorization of the patient stating that he is offering his consent regarding the release of his medical information. In case, the patient is a minor, the authorization comes from his or her parents or legal guardian. 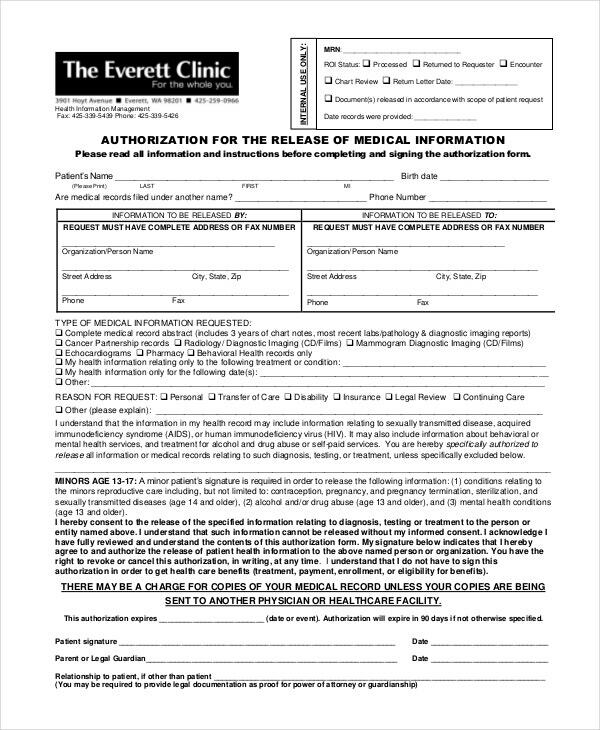 Then, the medical release form will state who would be the recipient as well as who would be the provider of the clinical information. You can also see Medical Certificate Templates. Most of the forms also specify the type of medical data that are to be released. In some of the forms, the purpose of the release of information might be mentioned as well. The form starts with information of the patient and also includes the name of the facility to offer the disclosure as well as the data to be disclosed and the purpose of disclosure. > When does one Need a Medical Release Form? Certain medical data is considered to be private and confidential and hence is forbidden to be disclosed to the general public. But at times, you might need a patient’s medical certificate template while preparing a strong a medical base or a personal injury case in his favor. Besides, the confidential medical information of the patient would also be needed when further treatment of the person is required by other doctors. In such situations, a medical release form would be handy as it will allow you to gain access to the patient’s confidential clinical data legally, under the authorization of the patient himself. 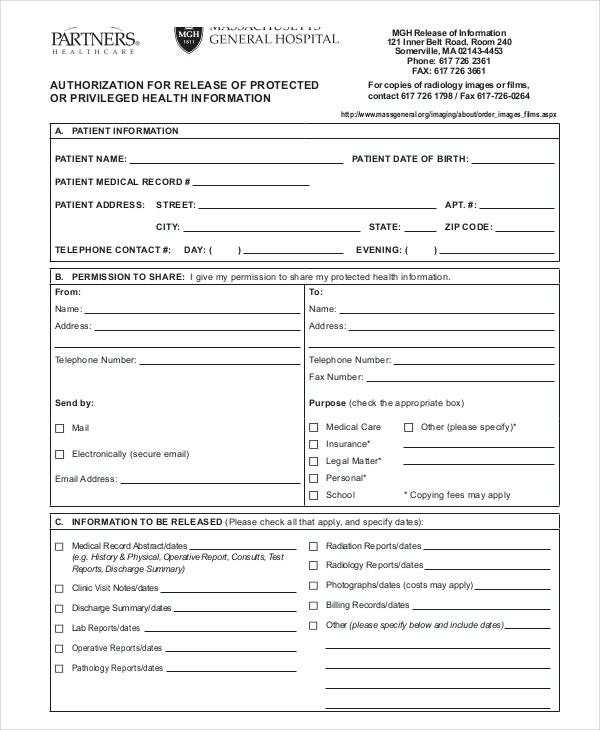 Are you about to draft a medical release form and you are looking for suggestions? Well, such forms are really elaborate and the templates mentioned above would be a handy solution for you here. All of them are pre-structured medical release forms that you can customize easily with your own specific data. You can also see Medical Doctor’s Note Templates.